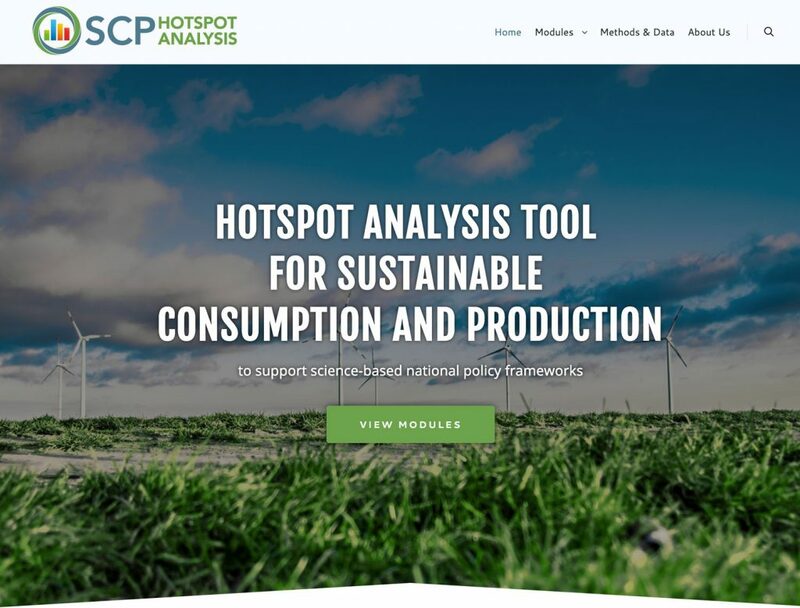 The Sustainable Consumption and Production Hotspot Analysis Tool (SCP-HAT), is an online application that analyses the environmental and socio-economic performance of 171 countries over the past 25 years to provide scientific evidence of areas where improvement can be made. Provides the key information regarding the country’s environmental performance, in the context of the most relevant policy questions. – For policy makers, NGOs and the general public. Provides a wide range of SCP indicators to analyse hotspots of unsustainable consumption and production at country and sector levels. – For policy advisors and researchers with expertise. Provides the option of inserting national data to receive more tailored results. For technical experts such as statisticians.